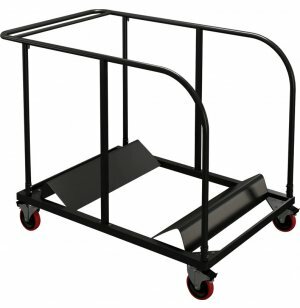 Transporting your 48" or 60" round folding tables from one location to another just got a lot easier with this round–table cart from Mayline. Part of the Event series, it makes folding tables even more convenient than ever before. Capable of transporting 13–16 folding tables with ease, it’s an invaluable accessory to schools, businesses and religious institutions that use folding tables frequently for lectures, seminars, conference rooms, cafeterias and more. High Durability: Black powder–coated steel frames built to withstand heavy–duty use. Less Work: Capable of moving 13–16 48" or 60"-dia. tables at a time, this round table dolly eliminates a lot of the running back and forth that makes setup and take–down so exhausting. Easy Rolling: 5” dia. 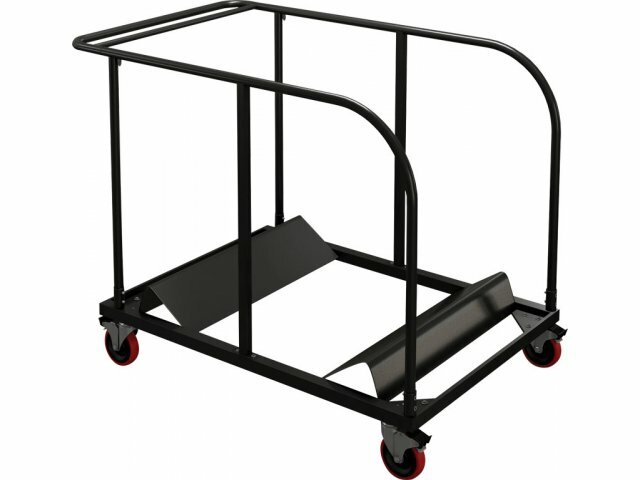 locking polyurethane casters with 12-gauge rigid mounting plate provide many years of high performance.